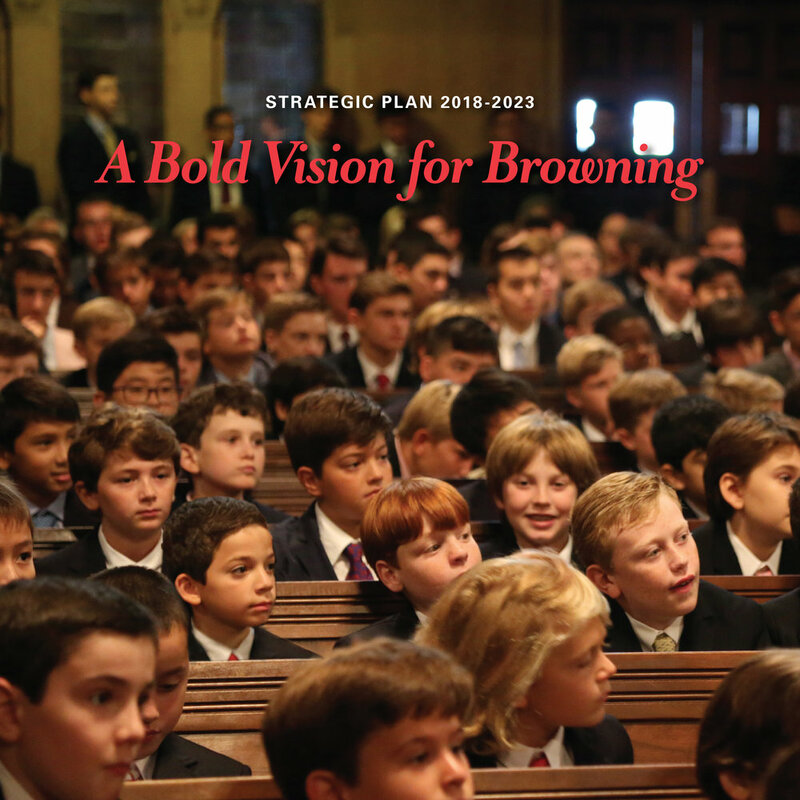 The Browning School is pleased to share its five-year Strategic Plan representing more than a year of work by a dedicated group of trustees, teachers, administrators, parents, students and valued advisors. In its ongoing commitment to remain a leader in the education of boys as it celebrates its 130th year, Browning consulted with Kathy Hanson and her team from Marts & Lundy to examine the School’s priorities and expand its endeavors as it maintains the legacy of founder John A. Browning. Beginning with the refinement of Browning’s Mission Statement, the Strategic Plan Steering Committee – chaired by Alka K. Singh – and its task forces set out to create a bold plan for the School’s future. Informed by the re-accreditation process with the New York State Association of Independent Schools (NYSAIS) during the 2016-17 school year, this plan outlines the goals and strategies of the Steering Committee.